Easy stained glass projects to make at Nickates Stained Glass Supplies Inc.
Books are great for inspiration. Classes are informative and full of hands on training. Many customers aren't as fortunate to have classes in thier area so we designed lots of projects to help them. Our pre packed kits come with an addiquite amounts of complementing glass colors, instructions, patterns and or book to finish the project. Glass is the key to these projects. All of our kits have been carefuly filled with nice easy cutting glass colors. 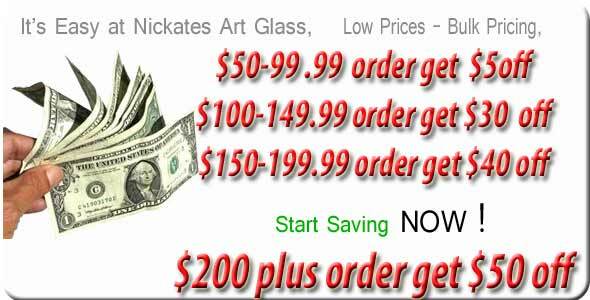 About us and our great stained glass resources.